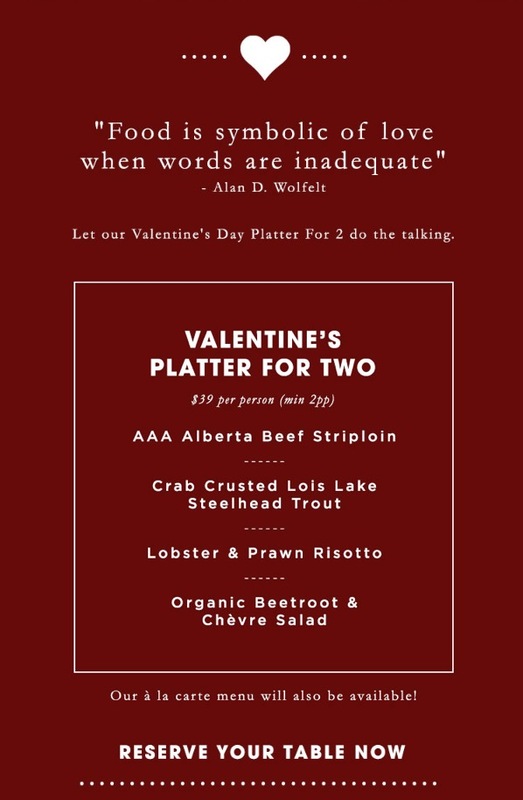 The Flying Pig will be offering a romantic and sumptuous Valentine Platter for 2 this Valentine’s Day. 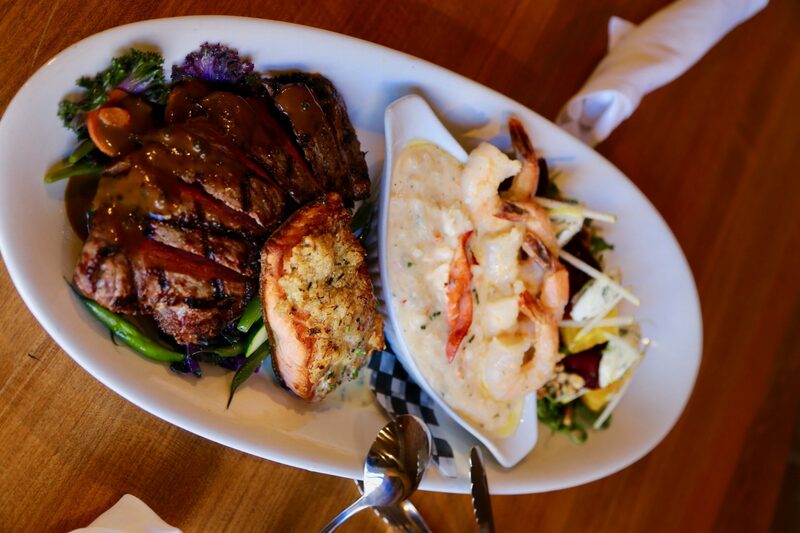 Its our romantic take on a classic Surf and Turf, with ‘AAA Alberta Striploin, Lois Lake Steelhead Trout, Lobster and Prawn Risotto and our famous Organic Beet and Chèvre Salad. Our regular menu will also be available. All locations of The Flying Pig will be accepting reservations for Valentine’s Day dinner this Thursday February 14.